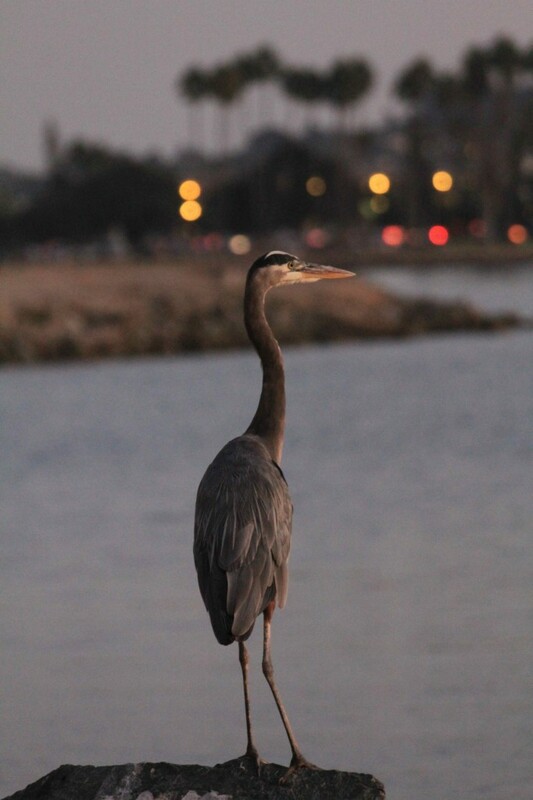 I’m closer to a wild Great Blue Heron than I’ve ever been in my life. It’s just across the water from me, maybe twelve feet away, standing at the base of a waterfall that empties into a shallow lagoon. While I’m watching the huge bird, it stares at the large fish moving through the clear water that separates us. Then I sense movement on my right and turn to spot another large predatory bird, this time a Black-crowned Night Heron who is also eyeing the dining options in the water. But there are predators on both sides of the waterline here; a leopard shark glides just beneath the surface six feet away from me while a Shovelnose Guitarfish lurks along the bottom of the lagoon. I take my eyes off the scene to reach back and grab for my camera, and as I do, a sound nearby makes me turn back to the water—and suddenly I’m face to face with the Night Heron who is now less than three feet away. But he’s not interested in me. While he’s not being obnoxious about it, he’s obviously hoping for a bite of the hamburger on my dinner plate. I obligingly toss a morsel in his direction and he snatches it out of the air, to the delight of my young son. This spontaneous natural entertainment is unfolding while my family dines at the Barefoot Bar & Grill, after a full weekend of adventures in and around San Diego’s Paradise Point Resort & Spa. And I do mean full: in the past 48 hours, my son has pet a dolphin, run through the manicured greenery and geometrical fountains of the Alcazar Gardens, built sand castles by the sea, played pirate on the deck of an 1863 sailing vessel, crawled through the body of a Soviet submarine, roasted marshmallows over a beach bonfire and made s’mores, and chased seagulls through the crashing Pacific surf. And now, tired but happy, we’re watching the sun set across the towering palm trees at the base of this peaceful lagoon right on the edge of Mission Bay. 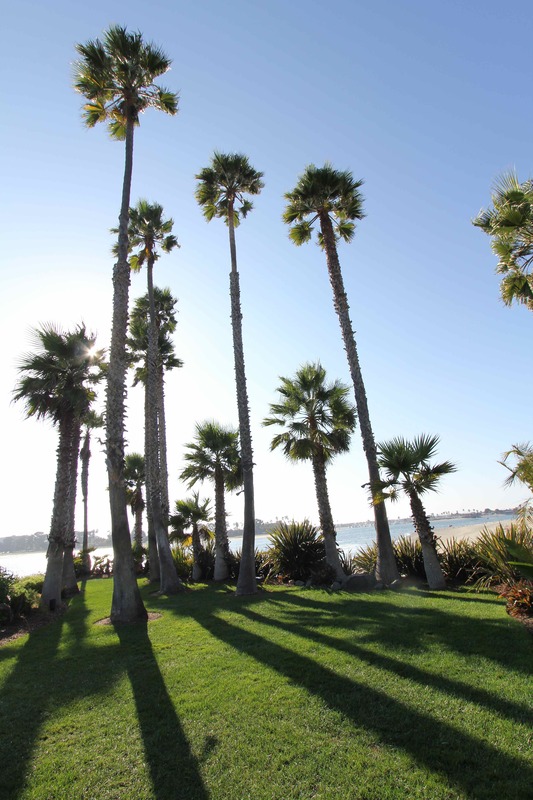 This coming Thursday, Oct. 11, marks the golden anniversary of one of the top family resorts in the world, Paradise Point Resort & Spa, on San Diego’s Mission Bay. Fifty years ago, the resort first threw open its doors to the public to unveil a lushly landscaped taste of the tropics only minutes from downtown. My family and I are here to get a jump on the birthday festivities, relax, play, and rekindle our love affair with one of our favorite American cities. San Diego’s Mission Bay was once marshes and tidelands, unsuitable for shipping and prone to flooding. In the 1940s, after years of tinkering, the city of San Diego finally transformed the troublesome “false bay” into one of the largest and most popular aquatic parks in the nation. It’s somehow fitting that the man to build the perfect family resort here on this man-made Eden was a Hollywood producer. 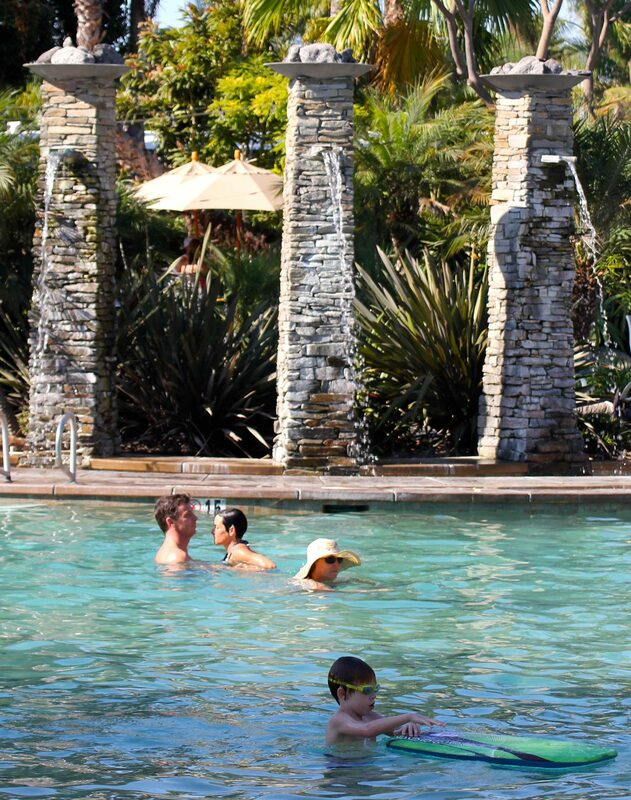 Movie impresario turned real estate developer Jack Skirball first opened Paradise Point Resort to much acclaim in October 1962, and it has been a blissful refuge for families for half a century. Lagoons, footbridges and private places link together across the lush, tropical 44-acre landscape at Paradise Point Resort & Spa. 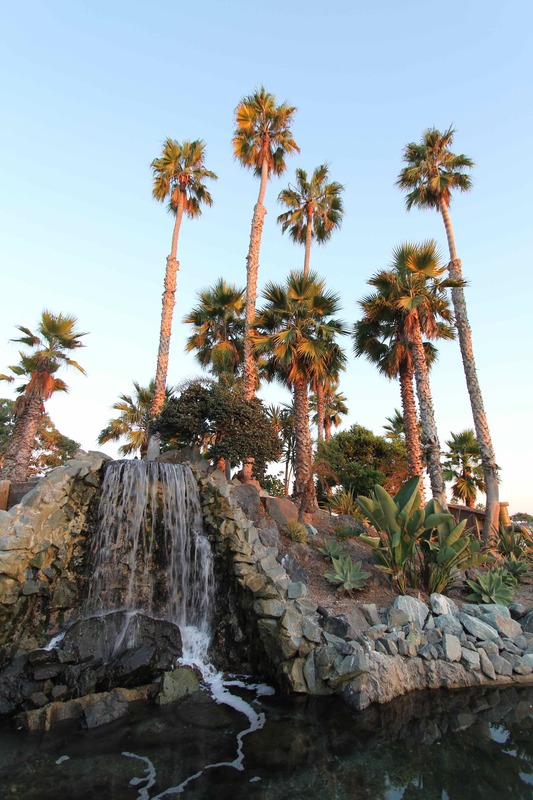 The resort lies on Vacation Island, smack dab in the middle of Mission Bay, and is a quick 15-minute drive from San Diego International Airport. Once you turn down the tree-lined drive to the resort, you already know you’re in for something genuinely special. The huge trees are strung with tiny white lights that lend the approach a magical quality. 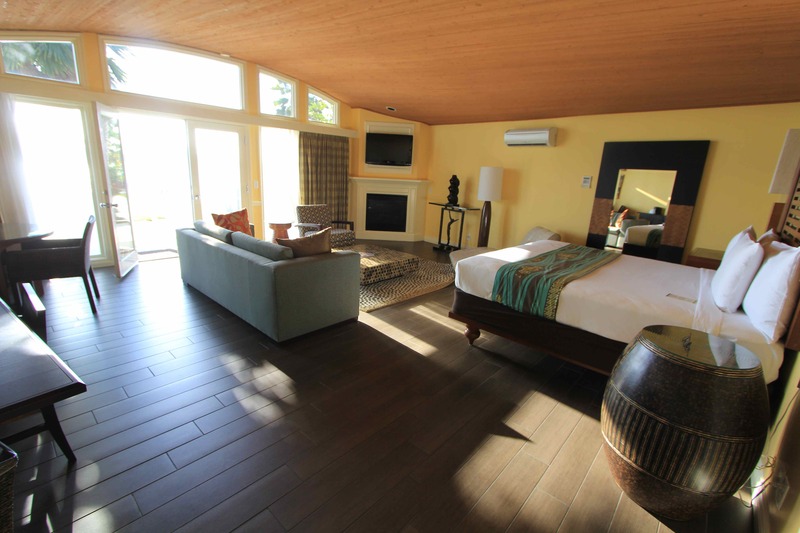 The resort underwent a $20 million renovation in 2010, with new facilities, revamped restaurants and tasteful updates to the charming original mid-century bungalows. You can see the money. Our room was opulent, artfully decorated, with an I-want-to-buy-one bed and sleek, modern baths, and the double doors at the rear opened up mere steps from the beach and the Bay beyond. There is a range of room options here for a variety of budgets, some with kitchens for families who want to economize. No room is far from the water. 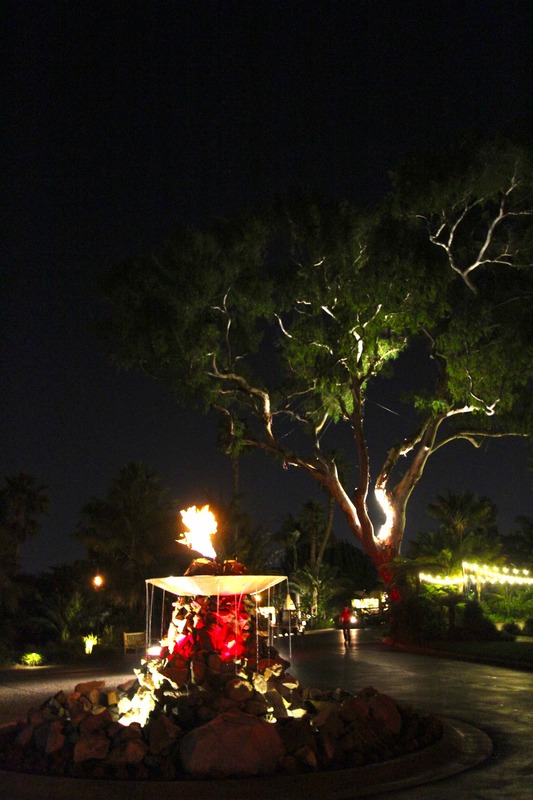 Despite all of the welcome updates, the resort still retains the original charm that helped to make the place so special, with salvaged elements from old film sets playfully incorporated into the landscape, as well as genuine treasures, such as the world’s largest collection of the original bells that once lined the El Camino Real, the road that connected a string of Spanish Missions that stretched from San Diego to Sonoma. This lovely blending of authentic natural beauty and romantic artifice is perhaps the signature quality of Paradise Point Resort & Spa. The resort has much to offer, and yet it also invites you to indulge your inner beach bum. You can rent sailboats, jet skis, paddleboats and more at the full-service marina, swim in one of the five pools, spoil yourself with a decadent treatment at the spa, and play tennis, golf and more. But the resort also invites you to slow down and let go of your agenda. 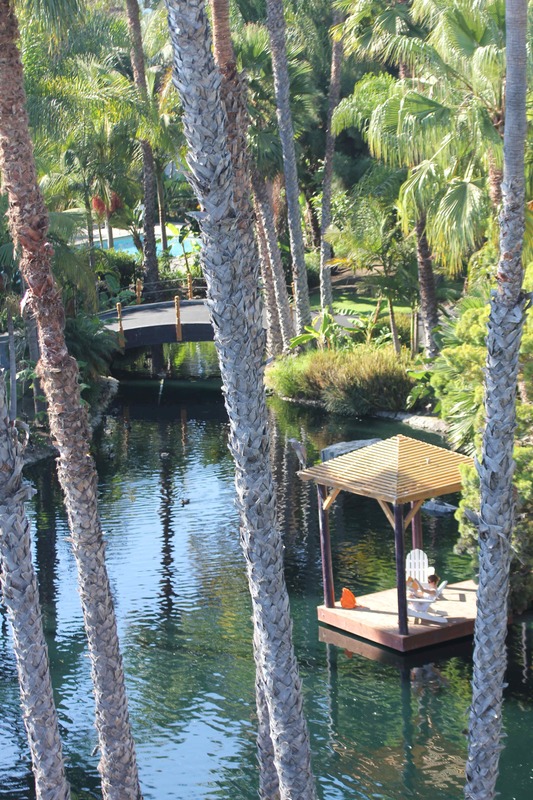 Float on your back in a heated pool while you watch the moon rise over the tops of the 1,000 palm trees. Wander the narrow, circuitous lanes framed by flowering ginger and hibiscus until you find an empty bench, dune or deck chair and lose yourself in a good book or just doze. Find your own definition of Paradise. 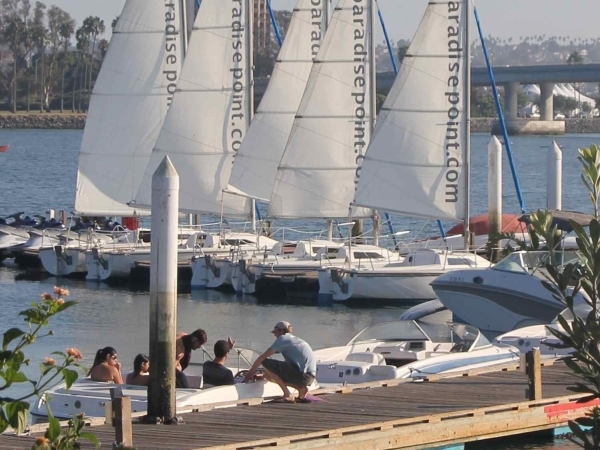 For dining, the resort offers two options that compliment each other nicely; the aforementioned Barefoot Bar & Grill for casual fare, and the foodie destination Bayleen, which is routinely named one of the finest seafood restaurants in all of San Diego. There’s also the cool, friendly Tropics Bar & Grill located at the main pool to grab a cocktail or snacks. Other recommended dining options nearby the resort include Sushi Ota on Mission Bay Drive. The location might lead you to give it a pass—it’s hard by a 7-Eleven in the corner of an iffy mini-mall—but the fish is stellar, and they also have a fine selection of sakes. And right across the street from Sushi Ota is a San Diego budget classic, Rubio’s Fresh Mexican Grill, a must if you want to taste the original fish taco in its birthplace. For a memorable breakfast or lunch, visit Isabel’s Cantina for a healthy and delicious fusion of Asian and Latin influences. While you could easily spend your entire vacation at the resort, use it instead as a home base to explore some of the best of San Diego. 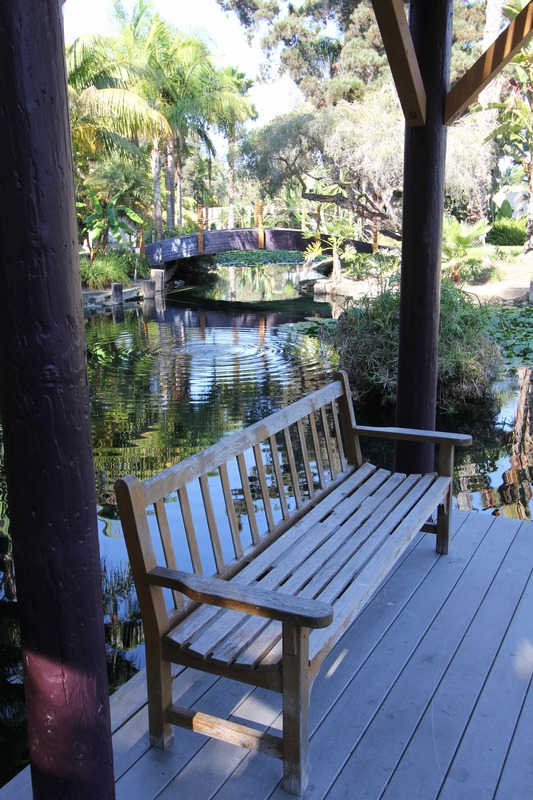 Here are three must-see destinations for families in America’s Finest City. 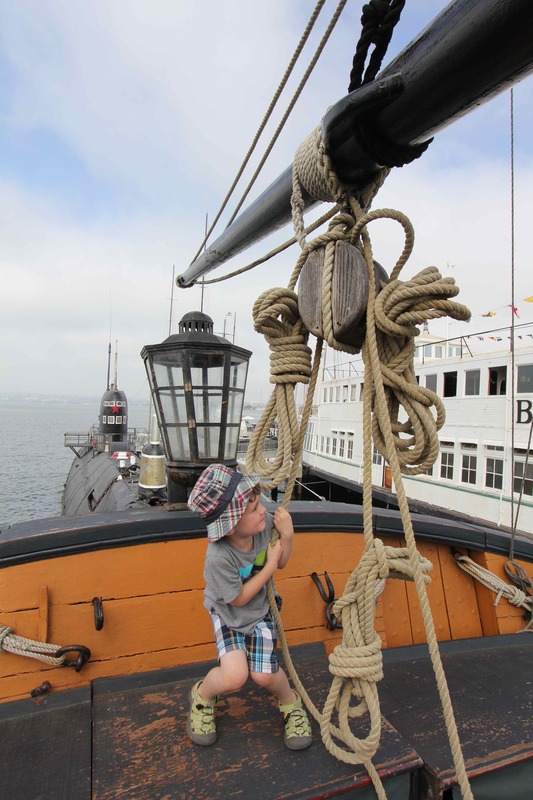 The San Diego Maritime Museum is a fun and inspiring stop for families, with a number of fascinating and historic vessels moored along the Embarcadero, an easy fifteen-minute drive from Paradise Point. 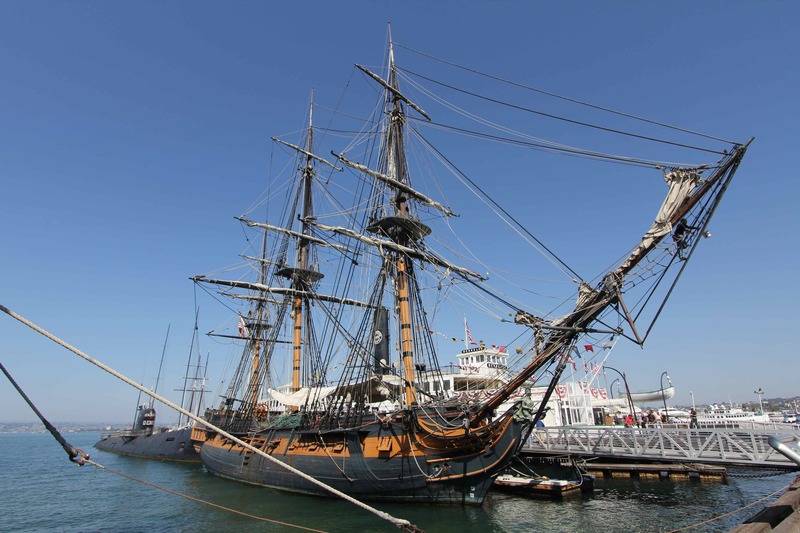 Sights include The Star of India, the world’s oldest active sailing ship, the steam ferry Berkeley, a Victorian-era vessel that operated in San Francisco harbor for 60 years, and the HMS Surprise, a faithful replica of the 18th century Royal Navy frigate Rose that was featured in the film Master and Commander: The Far Side of the World. Friendly deck hands are delighted to answer questions about life aboard the ship. 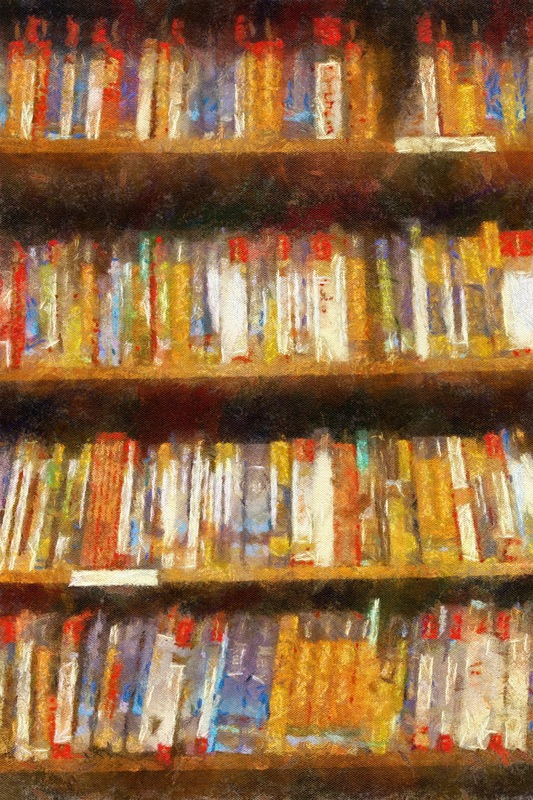 For kids, there’s enough raw material here for a lifetime of pirate fantasies. 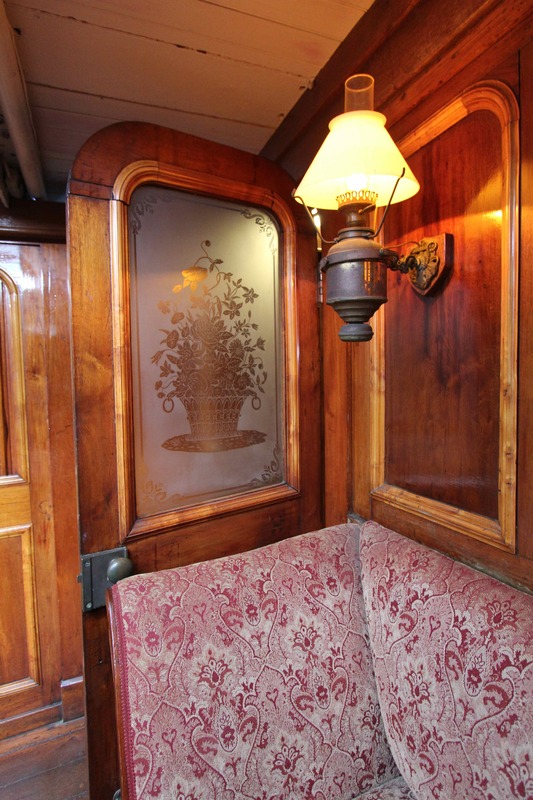 Through Dec. 3, The Star of India is hosting Jack London, Photographer, a special exhibition of London’s work taken from 1904 to 1912, including his coverage of the ruins of San Francisco following the 1904 earthquake, his visits to the South Sea Islands in 1906, and aboard The Dirigo as it rounded Cape Horn in 1912. The thrilling pictures illustrate how passionately London chased that lure, and represent a rare glimpse into the spirit of exploration and adventure that fired his books. Note: Visitors with small children should keep them on a short leash here, particularly in the Soviet submarine, as the warship requires you to move single file—one way—through the ship, and there are a couple of tricky sets of stairs to negotiate. But your kids will love it. Many great cities failed to preserve and build on the accomplishments of their grand expositions. Chicago, to take one example, figured profit from the salvage of their 1893 World’s Columbian Exposition into the budget from the start, and what was not dismantled and trundled off was later destroyed by fires, leaving few memorials to one of the greatest chapters in the city’s history. But San Diego made a different choice. 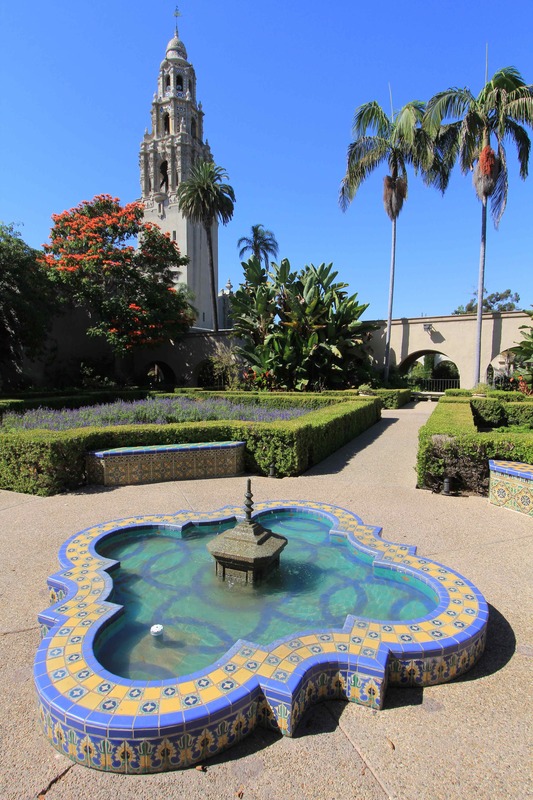 Balboa Park was host to not one but two world’s fairs–the 1915 Panama-California Exposition that commemorated the opening of the Panama Canal, and the California Pacific International Exposition of 1935. Many of the original structures from both fairs remain. The 1915 buildings, done in an exuberant Spanish-Renaissance style, are particularly beautiful. Today, Balboa Park is one of the very best parks in all the world, and a true civic treasure for both residents and visitors alike. I started to list some of the attractions here and just had to stop. There are too many. But here you can find the Tony award-winning Old Globe, one of the best theaters in the country. Here, also, is the San Diego Zoo, one of the most acclaimed zoos anywhere. 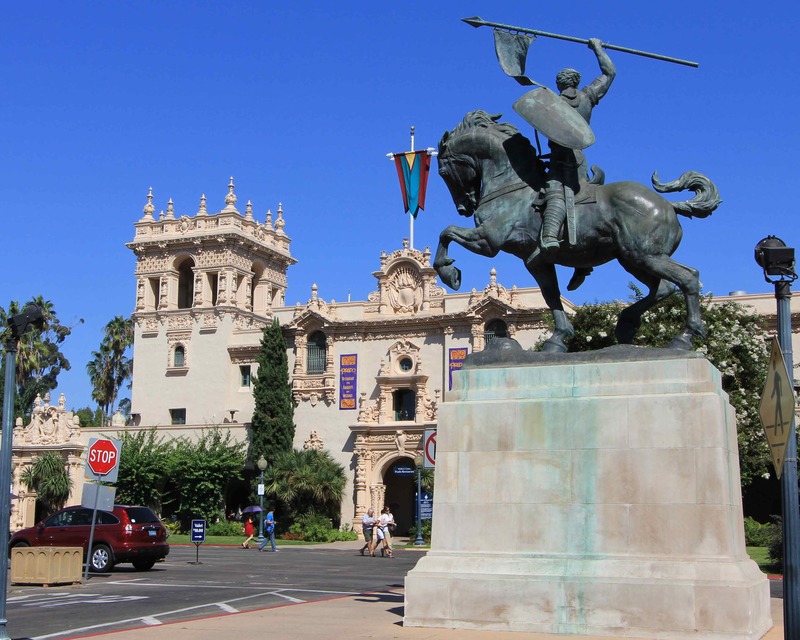 There are more than a dozen gardens, and seventeen museums, including the renowned Timkin Museum of Art. 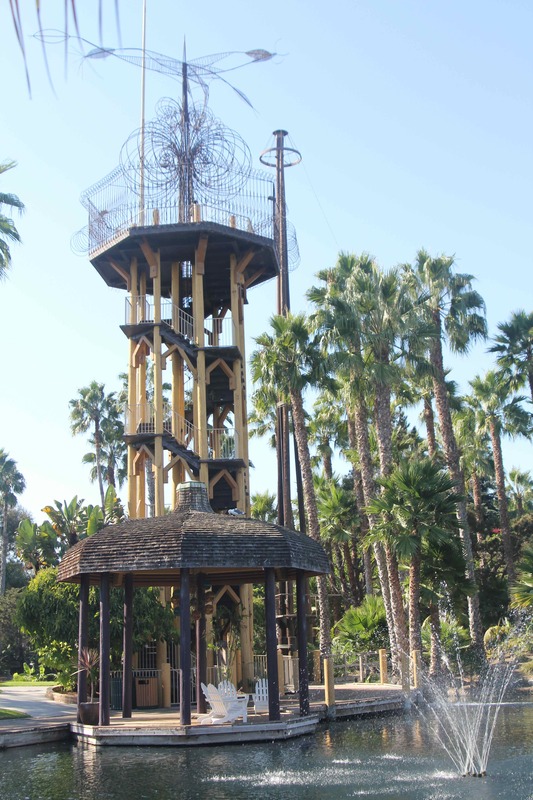 Sit and listen to the Spreckels Organ, a hundred-year-old outdoor pipe organ with 4,530 pipes, housed in an impossibly ornate wedding cake of a pavilion. Dine at more than a dozen restaurants. Ride a carousel. And much, much more. To wander through the gardens and tour the exalted public spaces is to get a sense of what it must have been like to visit the turn-of-the-century World’s Fairs. Think of it; all the wonders of the world in one place. That really is what it feels like when you visit. A must-see. Making a friend at Sea World with a Dolphin Encounter. Sea World is a far different place than when I first visited decades ago; there are more attractions and rides. 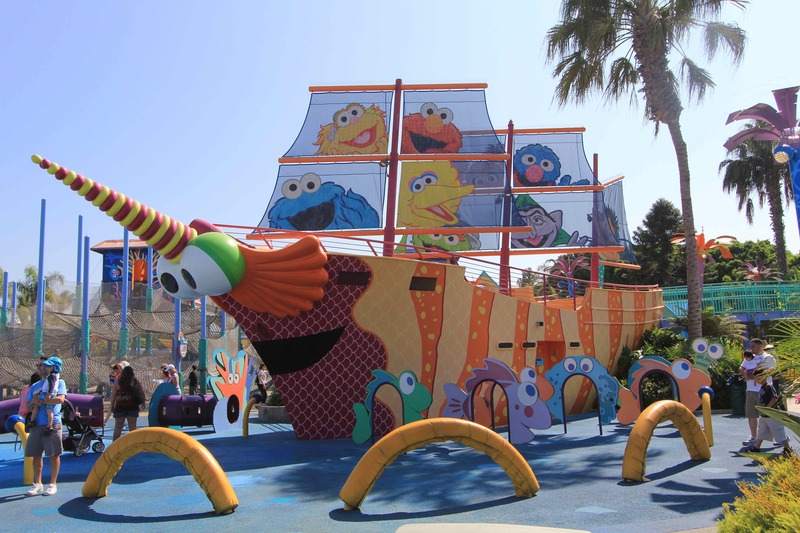 Sesame Street characters have a big presence at the park now which our son loved, but the shows with marine animals remain the biggest draw. 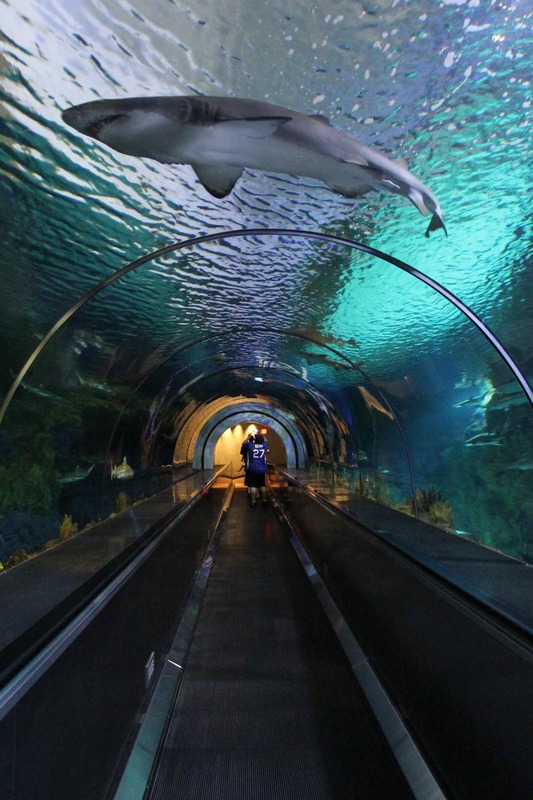 We lobbed fish to hungry sea lions, hand-fed Bat Rays, and walked though glass enclosures as man-eating sharks drifted over our heads in the Shark Encounter. 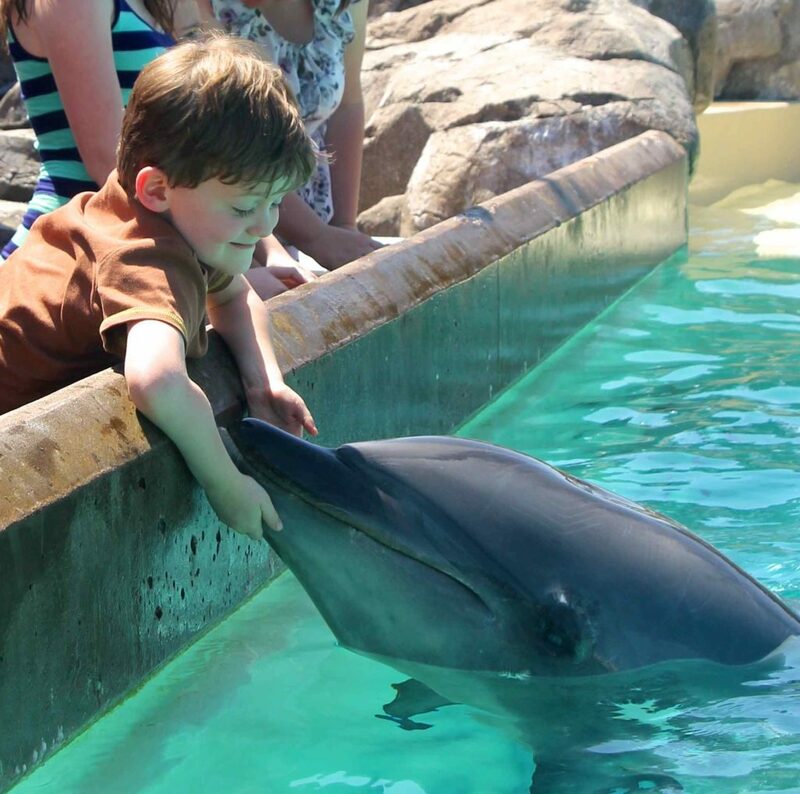 But what our son liked best, what he will likely never forget, was his Dolphin Encounter, a face-to-face meeting with a bottlenose dolphin rescued years ago by Sea World after a grave injury nearly killed her in the wild. 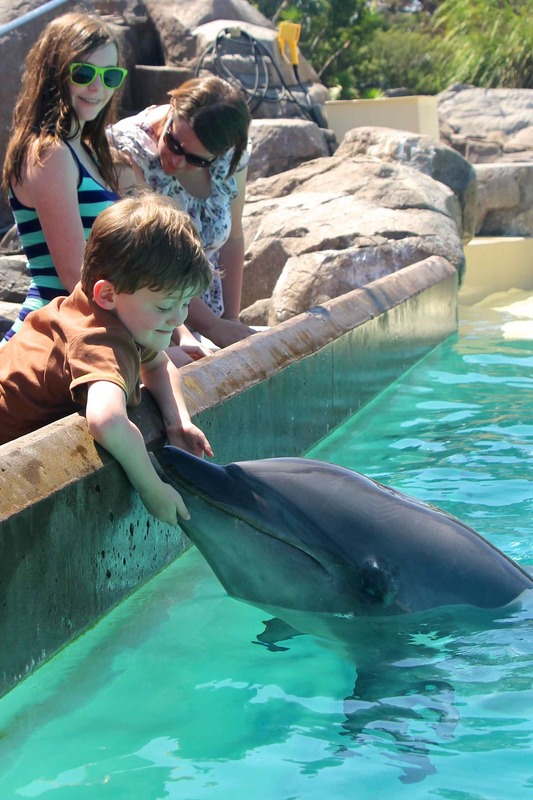 The dolphin was as affectionate and friendly as a Golden Retriever, and our son was thrilled to be able to reach out and pet her. As he stroked her belly, she turned on her side and closed her eyes to enjoy the attention. He gently touched the large white scar incurred from the injury that landed her at Sea World and she cooed. And when I held out my hand to her, she put her nose in my palm and rested the full weight of her head there—so much trust offered to a stranger. All the music and dazzle and flashy costumes are fine, but this is what Sea World is all about; the chance to make a real connection with—quite literally—a sweet creature from another world. I can’t imagine any kid having this chance and not becoming an environmentalist for life. Our son sure is. On the way home, he was full of questions that all centered on his concern for the dolphin, would she be okay, why don’t people care more about keeping their ocean homes clean and safe for them? I might not have all the answers for him, but that’s okay. Now he knows what the right questions are. That’s enough for now. Our last night back at the resort, we walked down to the water’s edge to say goodbye to Mission Bay. At least, that’s what I told my son we were doing. 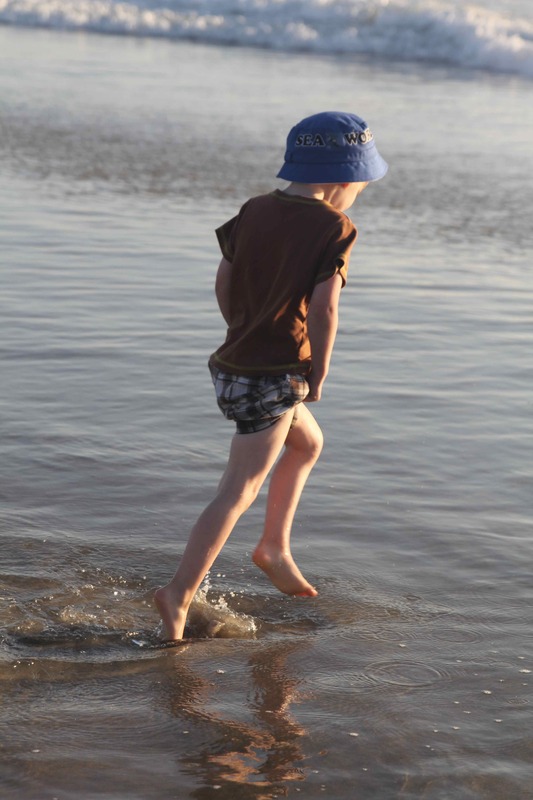 And, as children often do, he took me literally, calling out over the water as if to a dear friend. He named everything he could think of, everything he had found here to love, including the wind-blown leaves on the surface of the pool and the flowers whose names he could not yet quite pronounce. At first we laughed, my wife and I. And then, once our son got going, we found that we were right there with him. Out of the mouths of babes. Goodbye, San Diego. See you again soon. 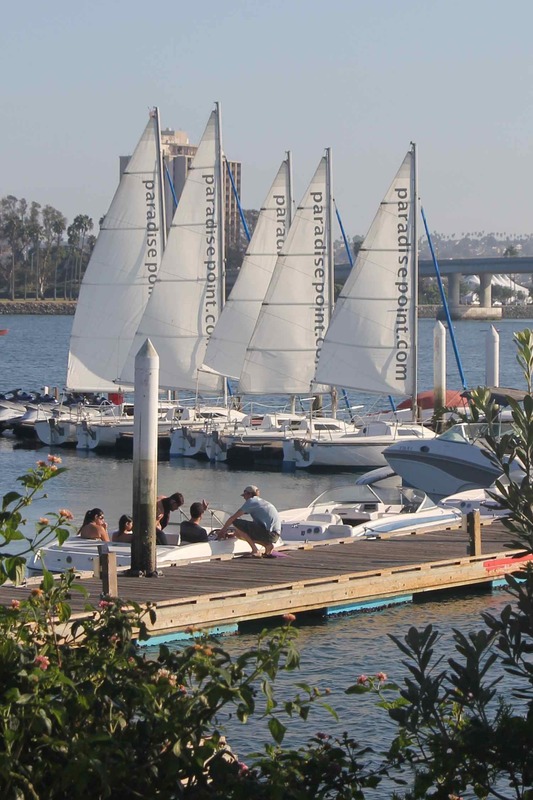 Click on the slide show below for more images of San Diego’s Mission Bay! 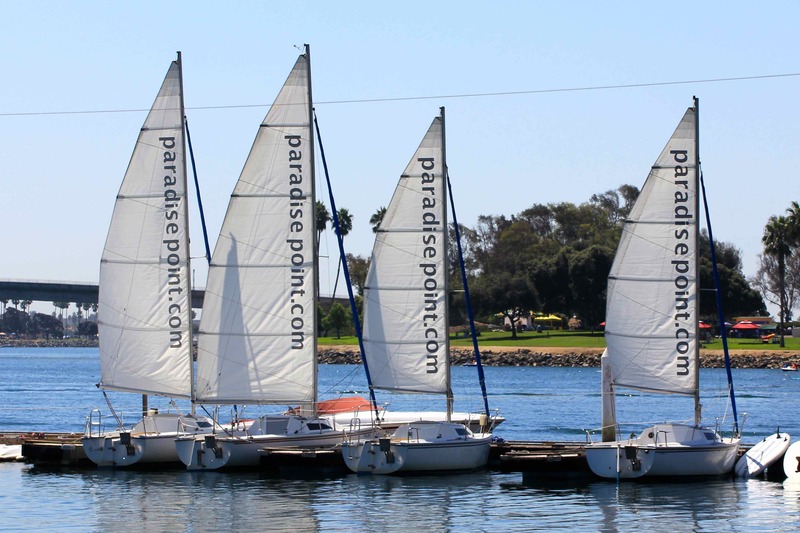 Rental sailboats, jetskis and more at Paradise Point. Bungalow just steps from the water at Paradise Point Resort & Spa. 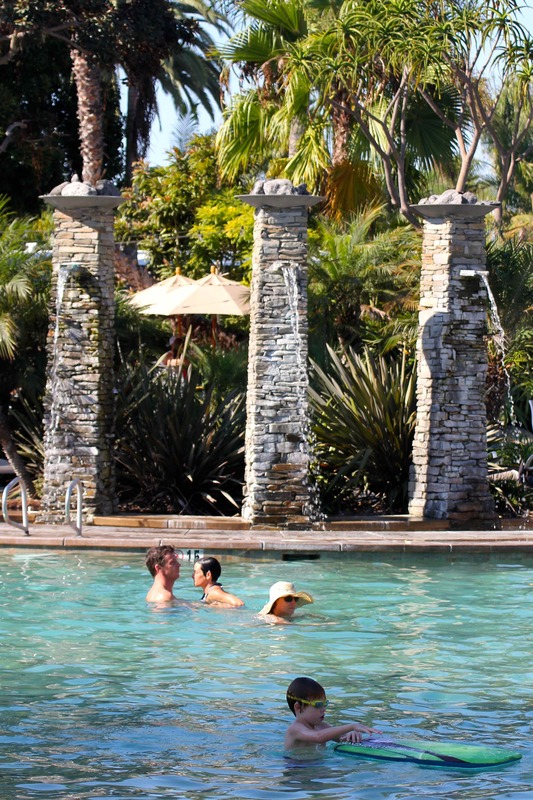 One of the five zero-entry swimming pools at Paradise Point Resort & Spa. Paradise Point Tower provides an observation deck with views of the bay. H.M.S. Surprise at the San Diego Maritime Museum. 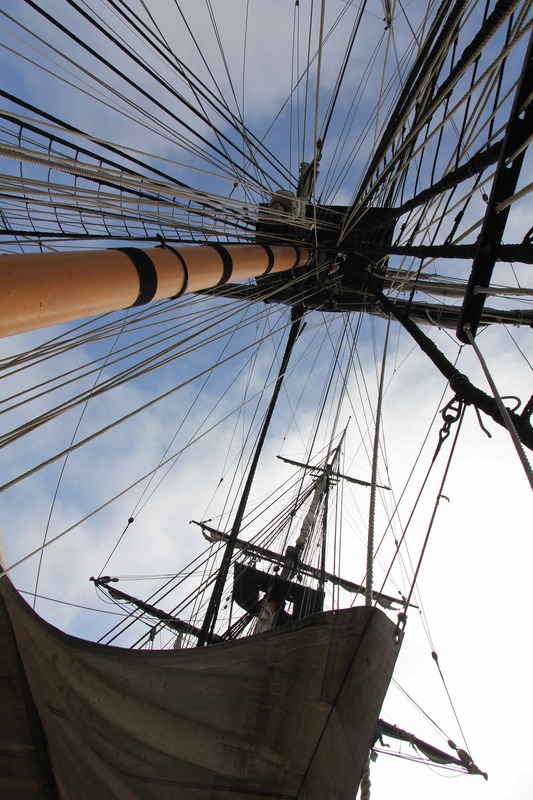 Standing under the shroud on the HMS Surprise at the San Diego Maritime Museum. 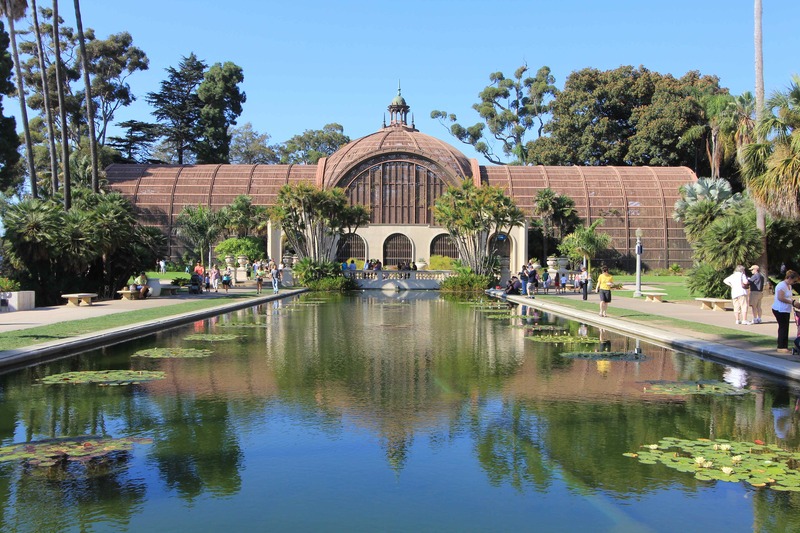 Balboa Park's Botanical Building, originally constructed for San Diego's 1915 Exposition. Spanish gardens at Balboa Park. 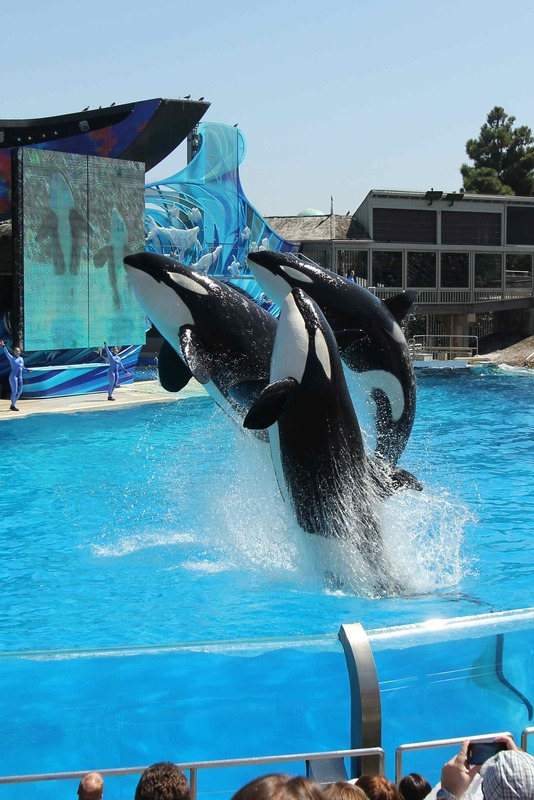 The orcas at Sea World. Get up close and personal with a top predator at Sea World's Shark Encounter. Towering Palms silhouetted against the sunset at Paradise Point Resort & Spa. Chasing the tide at Mission Beach. 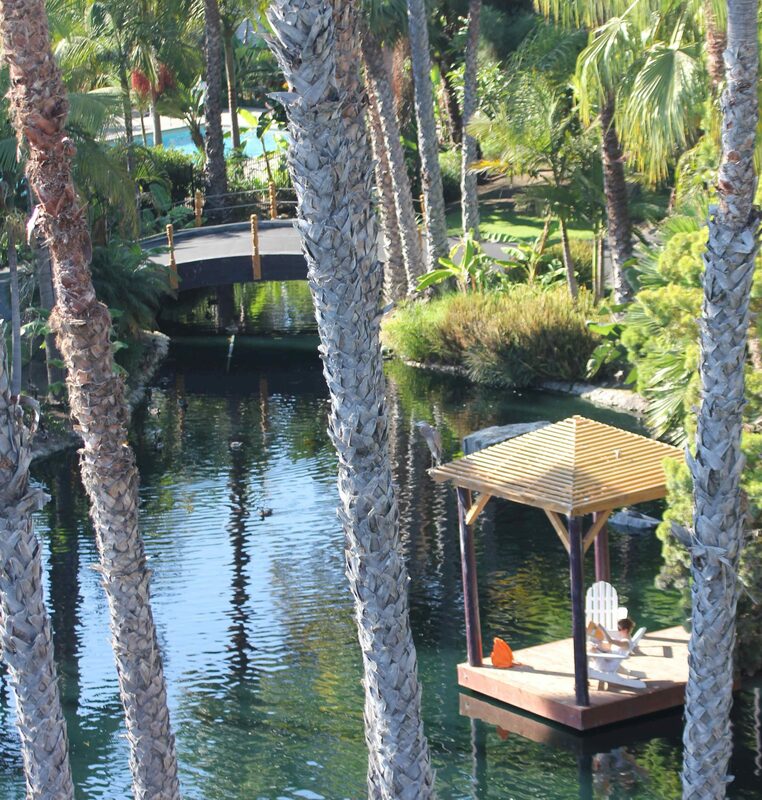 A Great Blue Heron hunts for fish at the edge of the lagoon at Paradise Point Resort & Spa. 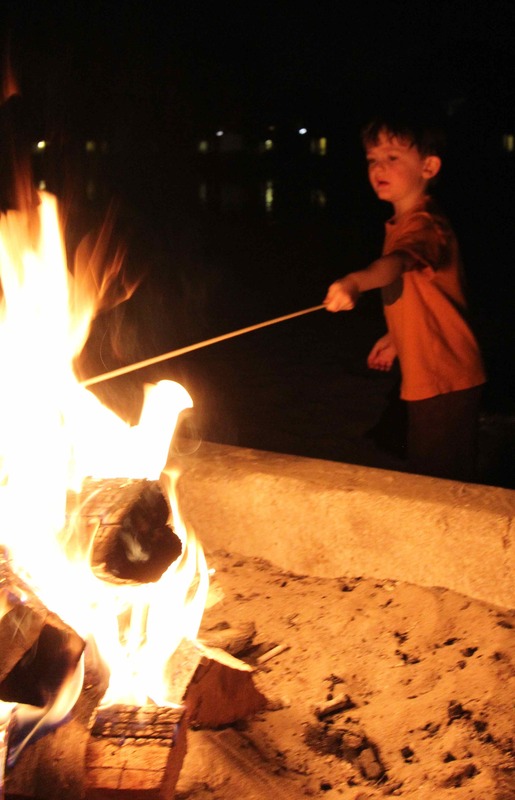 Roasting marshmellows and making s'mores on the beach. 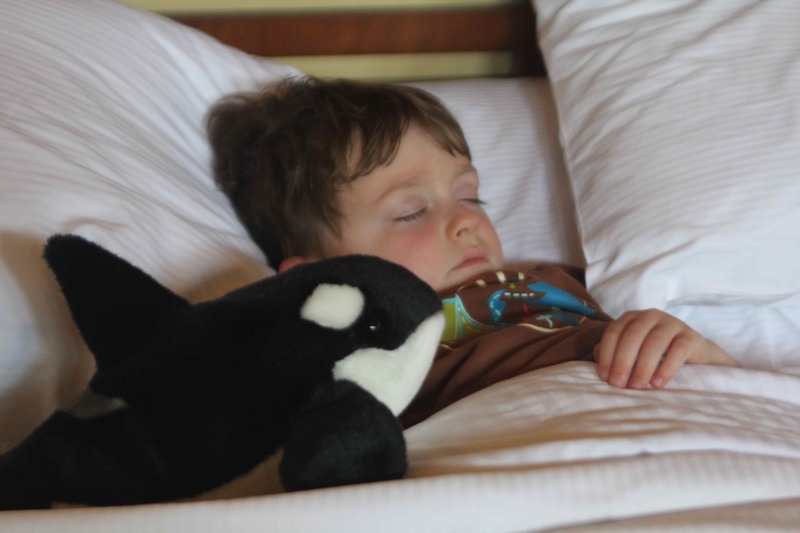 After a big day at Sea World.